Tell us about Vanessa Research and the Seal’N Freeze product you’ve developed? We are a very young biotech company based in Hamden, less than 3 years old. We are just at the very beginning of our journey. We were originally formed as a drug development company for a very rare orphan disease. But we have since become the developer of a product called Seal’N Freeze. When I was a researcher at Yale, I was introduced to science of studying specimens under the microscope. One of the things I learned was that the samples need to be sliced. The process of doing this was slow and difficult for me because I am shaky handed. While preparing samples, you need to have a really steady hand. The Seal’N Freeze project was really born as personal aid for myself to try and overcome my own disability, but we soon realized there were many broader applications and uses. What does Seal’N Freeze do? 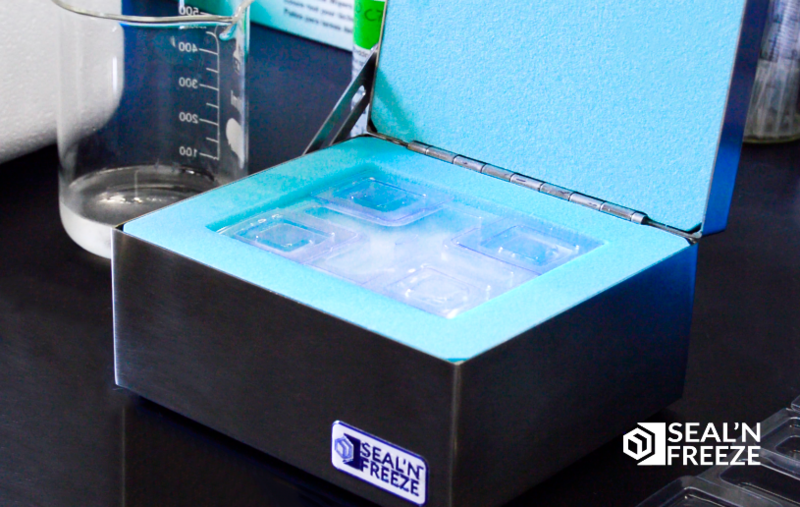 Seal’N Freeze allows researchers to process samples in bunches. 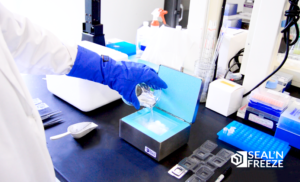 In simple terms, the product helps whoever is processing samples for freezing do it quickly, easily and in high volume. These are the key features of the product that make it different from anything that is on the market right now. Who benefits most from Seal’N Freeze? Right now, the product is geared towards researches that specialize in preparing samples and any research lab doing any kind of microscopy. But this is just a start. Eventually, we intend for it to be of use by physicians, pathologists, etc.- anyone who needs to slice and process samples. We initially linked up with Connecticut Innovations and ultimately CTNext through the Quinnipiac University Center of Innovation and Entrepreneurship, which is where Vanessa Research incubated. During out incubation, Seal’N Freeze won one of CI’s biotech awards. From there, we got more involved with CTNext progressively over time. Some of our key members participate on the CTNext advisory board right now. How has CTNext supported your business and the evolution of the Seal’N Freeze product? We have connected with many local companies and people through CTNext, including local mentors and manufacturers. During the past year, we have asked a lot of CTNext as we’ve looked for resources and partners who can help us make the platforms, manufacture boxes, etc. We’ve leaned on the CTNext network to help us find those companies and we’ve gotten a lot of help getting answers to practical questions as we’ve progressed to commercialization. What does the future hold of the company in Connecticut? We are definitely looking to stay in Connecticut and grow and expand the business. Connecticut is fabulous for us and we are located in Hamden, which is 5 minutes from Quinnipiac, 15 minutes from Yale and 15 minutes from the UConn Health Center. This is so important because we have personal connections with these universities and each one can potentially become a customer for Seal’N Freeze. We intend to grow through our access to these 3 major research centers and hope that we can use them to amplify the product and then build on that success to expand to Massachusetts, New York and ultimately the rest of the country.